In the culture room the lemon has been cultivated for over 300 years. Trees gladden the owners not only for its foliage, and bloom well and produce fruit. However, for normal growth and development of plants it is necessary to observe some rules. One of the most important is the timely transplant (transshipment). Due to the fact that the root system of a lemonand is limited by the size of the pot, a tree frequently transplanted. So 2-3 year old plants are transplanted twice over the summer. Trees aged 3-4 years are transplanted each year, and the 4-7 year old lemons through the year. Transplant should not be done at the time of budding, setting and fruit growth. A new pot of appropriate volume, drain the mixture, the soil. Choose a pan (a pot, a tub) age-appropriate trees. You can put lemon in a clay, plastic or wooden containers. The main condition – the presence at the bottom of the pot drainage holes. For 3-4 years old – at least 30 cm. For plants that are more than 7 years - not less than 45 cm. The signal for transplant can also serve as poor growth, yellowing of leaves and acidification of the soil in the pot. Prepare a new soil mix. Ingredients: 1 part clean river sand, 1 part leaf humus and 1 part rotted manure or compost. In special stores you can purchase ready-made soil mix for citrus crops. On the bottom of the prepared container, place the crock convex side up and pour drain the mixture layer is not less than 3 cm. This will prevent the stagnation of water in the pot. On top of the drainage place a few handfuls of soil. Carefully remove the plant with a clod of earth from the old pot. Room to destroy earth when transplanting or the plant will be a long time to get sick or even die. You can only carefully remove the top layer of soil over the roots. Inspect the roots of trees. Everything's broken, shriveled roots carefully cut with a sharp knife. Do not pull and do not try to unravel them. When pruning the roots is a little and shorten shoots of the plant. 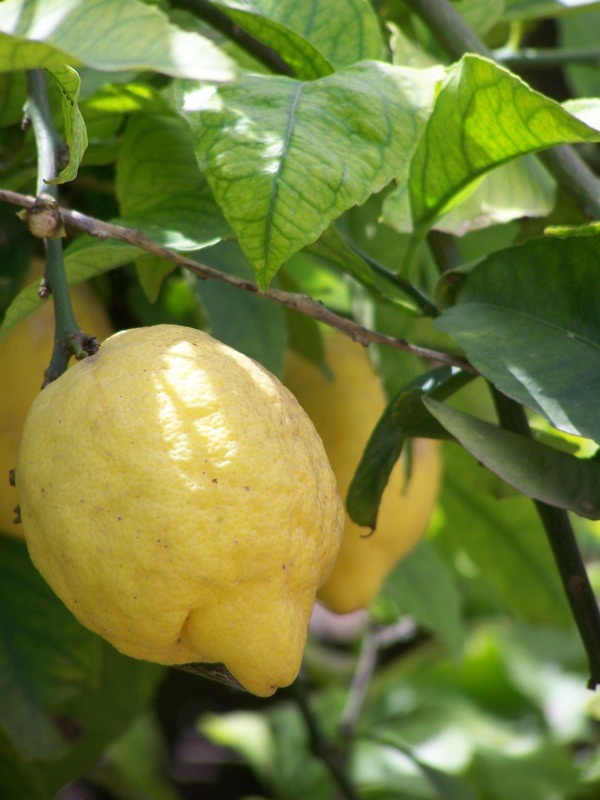 Install lemon in a pot on the prepared layer of soil. Holding the tree by the barrel with one hand, fill soil mixture in the free space between the pot and the old dirt clod. Well seal the land. Make sure that the root collar (the place where the stem transitions to the roots) was not covered with earth. Well pour the transplanted plant and pricenice it from direct sunlight for a few days. Put the pot so that the lemon took the same position in relation to the lighting. It is impossible to transplant a lemon in a pot larger than you need. This will lead to a rapid acidification of the soil. Keep to a saucer or tray under the pot with the plant had not prevented the flow of excess water.